May 31, 2017  On this week's essential new releases Mitski covers One Direction, Kevin Morby pays homage to The Ramones, Wilco's Jeff Tweedy goes solo acoustic, and much more. April 13, 2017  Jeff Tweedy strips down Wilco, Loose Fur and Golden Smog songs on Together At Last. January 27, 2017  Do you have little talent, but a box of bedroom recordings you think may have been ripped off by Bruce Springsteen? Mark Lukey wants to talk to you. January 19, 2016  World Cafe revisits sessions recorded with artists who brought their side projects along. 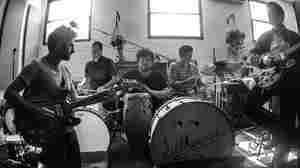 October 9, 2014  Hear a set from Wilco frontman Jeff Tweedy's new band with his son (and drummer) Spencer. 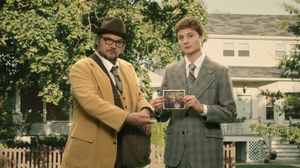 September 26, 2014  Tweedy's goofy new video "Low Key," starring John Hodgman as a desperate record executive and Jeff and Spencer Tweedy as musicians and reluctant record salesmen, was directed by Nick Offerman. September 25, 2014  The Wilco frontman and his drummer son embarked on their first collaboration in a moment of hardship. 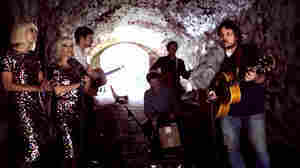 The resulting album, Sukierae, turned out to be just what they needed. 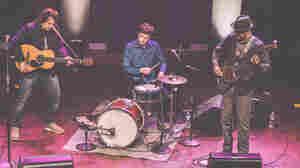 September 22, 2014  With his drummer son Spencer, Wilco's Jeff Tweedy performs three songs from their new album, Sukierae — plus a cover of "You Are Not Alone," which the elder Tweedy wrote for Mavis Staples. September 14, 2014  The Wilco singer and his 18-year-old son Spencer record a 20-song family-band album together. 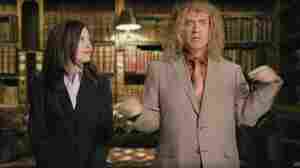 There's not much contrivance, not much high-concept, just a dad and his son bashing out tunes. Audio for First Listens is no longer available after the album is released. August 7, 2014  Wilco's Jeff Tweedy, joined by son Spencer and members of Lucius, gets out of the rain to perform "High As Hello." 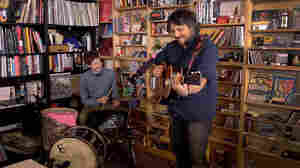 Watch the performance — and hear the version on Tweedy's forthcoming album Sukierae. July 29, 2014  The resume of Jeff Tweedy includes groundbreaking bands Uncle Tupelo and Wilco and a new album made with his teenage son. 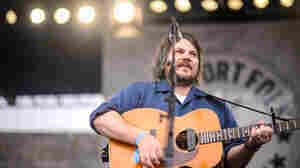 Tweedy performed at the 2014 Newport Folk Festival on Sunday, July 27. 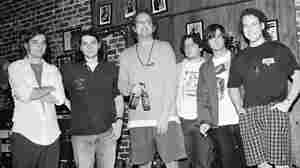 Uncle Tupelo at the Sapphire Supper Club in Orlando, Fla. Jeff Tweedy (second from left) went on to form Wilco, while Jay Farrar (second from right) created Son Volt. 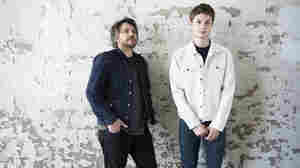 April 23, 2012  The extraordinary and influential alt-country group was a standard-bearer for the genre, and later spawned Wilco and Son Volt after it broke up in the mid-'90s. Tweedy vs. Bird: What Do You Want From A Concert? December 10, 2010  What do you want most from a concert, old favorites or unheard music? 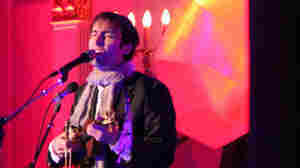 A look at two recent solo performances by Jeff Tweedy and Andrew Bird. 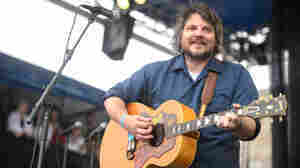 October 19, 2006  New solo recording from Wilco's Jeff Tweedy; Remembering the music of The Byrds; The magnificent defeat of Jay Bennett; Hook-filled jangle pop from Benjy Ferree and more.